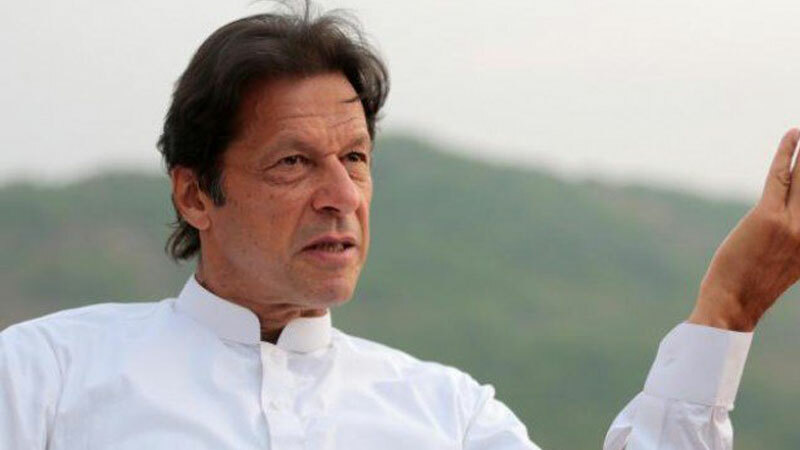 ISLAMABAD: Pakistan Tehreek-e-Insaf (PTI) Chairman Imran Khan has said that nations die when they lose the ability to differentiate between right and wrong. Addressing the Ullema and Mashaikh Conference at Golra Sharif in Islamabad on Saturday, Imran Khan said that law should be equal for all in order for the speedy dispensation of justice. He said that the sentencing of a powerful person by accountability court has given a clear message to everyone that the rule of law is getting stronger in Pakistan. The PTI chairman said that Prophet Muhammad (PBUH) established the model Islamic state in Madina on the basis of simplicity and austerity. “Pakistan will rise when it will function along the same lines,” he added. He said that today Pakistan has reached a critical juncture due to poor policies made by previous rulers. “During the last ten years, foreign loans increased to manifold and poverty increased in the country,” he said. Khan urged the Ullema and Mashaikh to play their due role in spreading the message of love and peace. He said that it is time to rise above petty differences to overcome the challenges Pakistan is facing. He said that everyone knew that Sharif was telling lies. “When it came upon his sons they said they were not even Pakistani citizens,” he stated. The PTI chief said that the party has a great responsibility to work for the country. “A small class is getting richer but the condition of poverty –ridden people remained unchanged,” he stated. He urged the nation to unite and block the way of corrupt practices. He lamented that 25 million children are out of schools while many more lack access to basic nutrition. “If we want to pull the country of this quagmire we will have to run it in a way it has never been run before,” the PTI chief said. Khan further said that if Allah gives him a chance he will prove that a person can also come to power to establish a welfare state as per teachings of Holy Prophet (PBUH) instead of milking money. He demanded that the Raja Zafarul Haq committee report on now-withdrawn controversial amendments in Khatm-e-Nabuwwat oath be published so that it could be known who the government wanted to please by hatching such a conspiracy.